THE HONORABLE BIBI BERRY was appointed as a Family Division Magistrate for the Circuit Court for Montgomery County in 2017. She pursued a career in family law following her 2001 graduation from Georgetown Law, and currently serves as one of the Sixth District’s eight representatives on the MSBA Board of Governors. 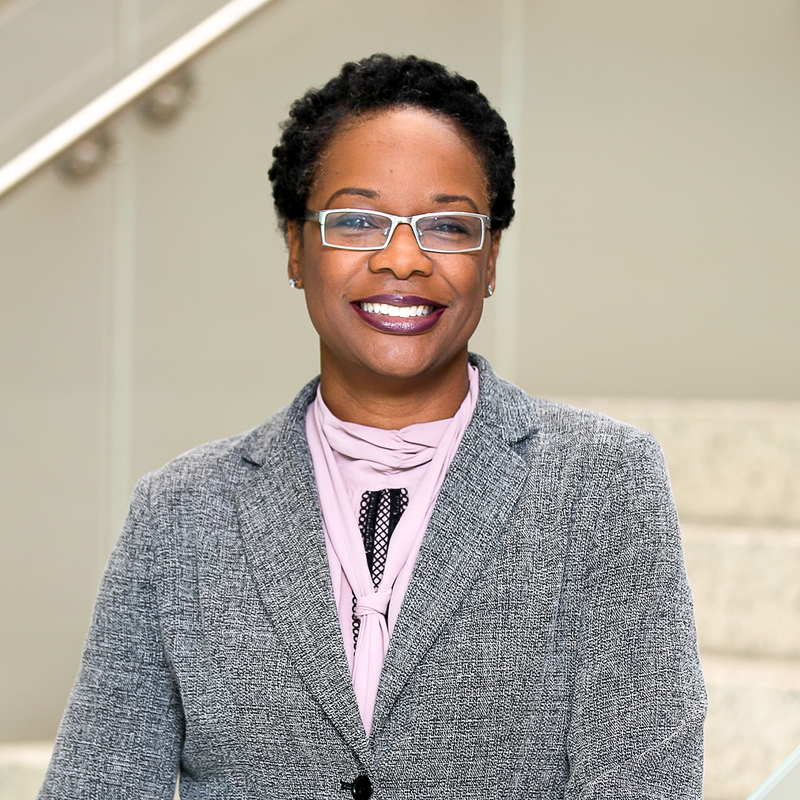 Ms. Berry sat down with the Maryland Bar Journal to discuss attending law school as a single mother, the law’s role in society, and the role Bar involvement has played in making her who she is today. MSBA: Why did you pursue a career in family law? BB: After graduating from Georgetown Law, frankly, family law is where I found my first job. But a lot of my search had been geared toward family law. I had a background in psychology, as well as creative writing, as an undergraduate at Howard University. So I think I was attracted to family law because of the stories, really. What so fascinated me was how rights surrounding the family developed, and the changing [definition of] family. MSBA: Why did you pursue a career in the law? Please describe your path to becoming a lawyer. BB: I was pregnant when I graduated from Howard University, and needed to find a way to earn enough money to support myself and my daughter. I didn’t want to be in a position where I was on my feet all day. I wanted to do something professional. There was a legal assistant certification program at Georgetown’s undergraduate school. It was an intensive summer program, so I decided to take it, which would allow me to get a position as a paralegal fairly quickly. Paralegals, particularly in downtown DC, were making pretty good money, and the hours were good. MSBA: How did you make the jump from paralegal to lawyer? BB: I had been working as a paralegal at Arnold & Porter LLP in downtown DC for about three years, doing things like document production and document review, coding and things like that. After working there for a few years, I’d see the influx of new associates coming out of law school. And I decided I could do that – I could have more responsibility, I could make that kind of money. I worked as a paralegal in downtown D.C. for about three years. I saw the influx of new associates coming out of law school, and I decided could do that. I could have more responsibility, I could make that kind of money. I was able to get into Georgetown Law’s J.D. Evening Program. My job offered me the flexibility, and my mother helped me with my daughter. With the help of my mother, who was basically like a second parent to my daughter, I was able to get into Georgetown Law’s J.D. Evening Program. My job offered me the flexibility, and my mother helped me with my daughter. Arnold & Porter [also] had a daycare center downstairs, so it was like all the stars aligned for me to go to law school. It was an opportunity I couldn’t pass up. After law school, I started out at Joseph, Greenwald & Laake in Greenbelt. I was there for three years, and then transitioned over to Paley Rothman in Bethesda. Paley Rothman became my home, where I “grew up” as a family law attorney, as a litigator, as an attorney in general. MSBA: What drew you to your current position?at did you do after law school? BB: I started out at Joseph, Greenwald & Laake in Greenbelt. I was there for three years, and then transitioned over to Paley Rothman in Bethesda. Paley Rothman became my home where I “grew up” as a family law attorney, as a litigator, as an attorney in general. I was happy at Paley Rothman. In March 2017, I lost my father, and around that time I thought, “This life is short; you don’t know when it’s going to end.” Growing up, I had people who were there for me, and I always felt like I wanted to be a mentor to young attorneys. I wanted to be part of the process of bettering the law. I knew that I could give more to the family law community. I knew that I could give more to the community at large. MSBA: Tell us about life as a magistrate. BB: A lot of litigants don’t know the difference between a magistrate and a judge. It’s similar to a judge in some ways. Like judges, we have our chambers. We have our courtroom. We make evidentiary and procedural decisions. You’re presenting your case as you would before a judge, in most respects. One difference is that you’re not appointed by the governor. You’re hired by the judges, and you serve at the pleasure of the administrative judge, or the judges in the courthouse. And you don’t issue orders – you issue recommendations, so you serve as an advisor to the judges. The magistrate is there essentially to help clear the dockets. We preside over family law matters, and, in some jurisdictions, juvenile matters. We preside over alimony cases, child support cases, custody cases, and some magistrates will handle other matters, like property disputes. MSBA: You view the law as “a cornerstone of our society.” Why?Why is the law important to you? BB: The legal system is a cornerstone of our society. It’s what we, as a society, have determined are our values. The law provides protection to people. You have to have some rules, and you have to have people who are going to help [other] people protect their rights under those rules. That’s what lawyers do. ; that’s important to me because, if we don’t have that, then we will descend into chaos. YSo you have to have some rules, and then you have to have your gatekeepers. You have to have people who are going to help to protect people, and help them protect their rights under those rules. That’s what lawyers do. MSBA: Do you have any words of advice for young or up-and-coming attorneys? BB: One thing that my law partner and mentor at Paley Rothman, Glenn Cooper, always said to us was, “The truth will set you free.” And it’s something that certainly resonates with me. I would tell my clients, “Don’t lie about anything – the truth will set you free,” and I felt the same way towards my client. I’m not going to sugarcoat it for you. I’m just going to tell you what I think, and how we can get past these problems. I think that’s the best thing you can do for them. Also, be competent in what you’re doing. Recognize when you need help. Don’t be arrogant. Learn if you need to learn something. Don’t be afraid to be wrong, and you’ll be okay. MSBA: What role does the Bar play in helping attorneys succeed?Why is Bar involvement important? BB: The MSBA has had a substantial impact in getting me to where I am today. I’ve been an MSBA member for over 17 years, and I’ve taken advantage of the education and the networking and the mentorship opportunities. You develop friendships and professional relationships that make work a little bit more than work. It makes it more of a family, in some respects. The Maryland State Bar Association offers so many benefits to any attorney, and certainly young attorneys. You get to know people in the Bar, and those are people who are going to help you. They’ll help you bring in clients. They’ll help to mentor you and make you a better attorney. They’ll help to steer your career where you want it to go. And get involved with the MSBA’s Sections and Committees, because that’s where you’re really going to develop relationships with like-minded people who are involved in similar areas of the law. MSBA will not only help you to excel in your craft, but you’ll be more comfortable as an attorney. And if you’re more comfortable as an attorney, you’ll be a happier attorney.